What Happens When You Make Wings With Lasers, Fog and Movement #WearableWednesday #wearabletech #Arduino #art « Adafruit Industries – Makers, hackers, artists, designers and engineers! The exploration of the motion of birds, using this research to convey it through models that show from the basic flapping to the change of direction of the feathers all into one smooth movement. From using Arduino and from there an accelerator sensor, the stepper motor was connected to the mechanism, which was behind the movement of the wings. This technology-derived movement is influenced by Hussein Chalayan, who designs attire that cannot fly, but shows mechanical movements and allows people to feel what they cannot originally. One of the old Mexican tribe ‘Hopi’ is symbolized by rainwater, clouds and lightening. This device has panels on the wing areas, which have 32 lasers and a fog machine to represent the atmosphere of clouds and lightening. The half reflective window tint film allows the lasers to pass and also reflect, causing random laser directions. The lasers also become interplay between the figure in flight and the audience. The wiring alone for this project fills me with respect for Jaejun. Apparently the piece was created for Unit 9 of the Bartlett School of Architecture, London and showcased under the theme Ephemeral City. All I can say is that I’ll certainly be following that school for interactive projects in the future. Jaejun, congratulations on your project and I hope you find a chance to connect with a band that can use your wings for a stage show. They really deserves attention! 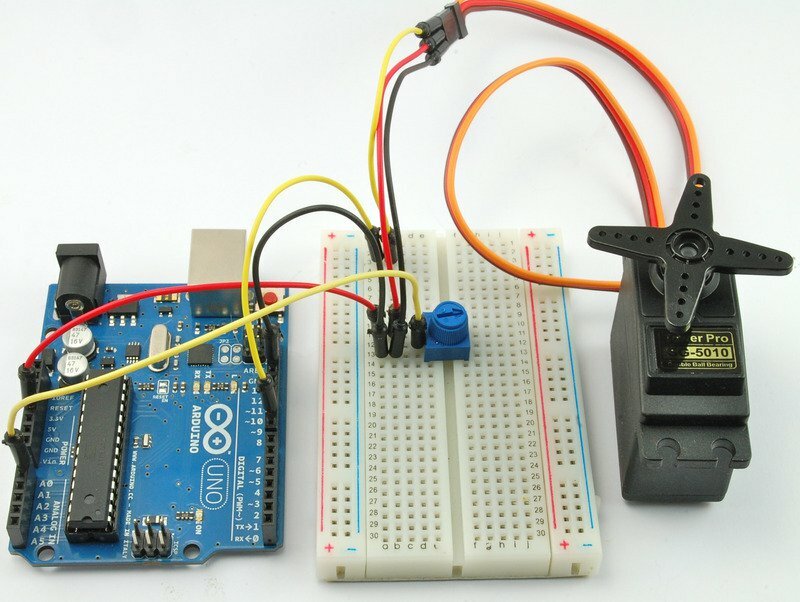 For those of you who are servo curious, check out our learning guide for Arduino and Servo Motors. It’s a great introduction to how to get things moving so you can imagine your own wings.